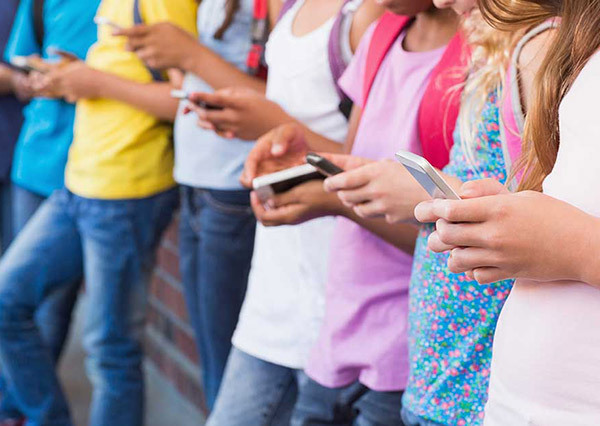 Now almost every student in a school own their cell phones. What’s worse, cell phones have become many students’ “weapon” against their teachers. Most students are found using their cell phones to surf on the internet during a lecture; many students tend to listen to music or play video games in classroom; it frequently happens that a sudden cell phone ring during a classroom lecture often arouses distractions; or even worse that some students make use of cell phones to help them cheat in an exam…. It has been reported that a new phenomenon “cyber bullying” refers to that students electronically torment others via text messaging and social networks, when they should be paying attention to lectures. Under such circumstances, a School Classroom Cell Phone Jammer is supposed to be installed/equipped to release the teachers from those torments. To block the common 3G 4G WIFI/Bluetooth signals used by these cellphones, a Mobile phone 3G 4G WIFI signal jammer will be enough. One of the most popular things that are being used in the schools now days is the cell phone jammer. There are a lot of teachers and schools who think that school is an institution to learn and a device like cell phone can distract the pupils and interrupt in their studies. We all are aware of the fact the students defiantly are not be able to talk on the phone during class, but they can text their friends. Another reason why a lot of schools have jammers is to trying to prevent the students from cheating. A cell phone can be an easy cheating device where they can get the answers from a person who has the information or from the internet. A British school principal who wanted to stop her students from logging onto the Internet by using phone jamming technology has been told by authorities that any such action would be illegal, according to media reports. Julia Polley was so frustrated with students accessing Facebook and other social media during classes that she told parents she would block phone signals at Wensleydale School and Sixth Form College in Leyburn, North Yorkshire. A middle school teacher said, I would allow them, but with some technology implemented to limit their accessibility. The easiest solution would be to install commercial-use cell-signal jammers into the classrooms. These could be small in area of effect, so after exiting the classroom, normal functionality would return. Recently a Spokane, Washington school principal bought a wifi jammer to block cell phones from working while students are in class. The jamming device was turned on during class time and turned off during passing periods and lunch hour. His reasoning for the measure was frustration by the continued distraction of cell phone texting and calling during class. This principal wasnt even jamming the phones all day, just during class. Not only that, schools have rules against using cell phones in school, especially during class. My concern would be that cheating could go to a whole new level as kids could pass the answers to each other through texting. Not only that, teasing and gossip could become the priority rather than learning.